Nothing captures the spirit of the holiday season like a house filled with the appetizing scent of fresh baked treats. 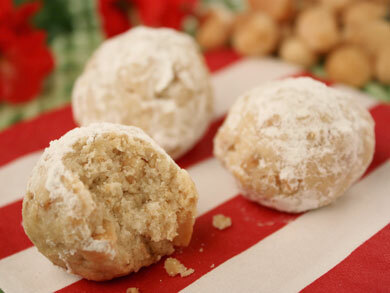 Here in the Test Kitchen, we have more than a few favorite Christmas cookie recipes. Cookies make great holiday gifts, but how about sending a few of your favorite holiday cookie recipes to your kid who's away at college, your neighbor who just moved, or your cousin who lives in a different state? If you're mailing some homemade cookies, the last thing you want after spending hours in the kitchen baking is for them to fall apart while being transported. Boy, would that be crummy! Follow these tips on how to package and how to ship cookies to make sure your tasty treats arrive in one delicious piece! When mailing cookies, your best bet is to go with cookies that don't break easily. We recommend bar cookies, drop cookies, or crunchy cookies. Some of our favorite holiday cookie recipes include Polka Dot Cookies, Double Chocolate Brownies, and Mistletoe Cookie Bars. Just remember to leave any icing off! If you're stacking cookies, place a small piece of wax paper between each cookie to make sure that they don't stick together. To ensure your cookies won't break, pack them in a sturdy, small gift box or in foil-lined containers. Clean coffee tins are another great alternative! You can also place your cookies in freezer bags. Whichever option you choose, just make sure it's sealed airtight to avoid spoilage! Once you've packaged your cookies, put them in the shipping box. Surround your container or bag with crumpled newspaper, paper towels, or even unbuttered popcorn! This will cushion the cookies to further protect them while in transit. Seal the box with shipping tape. Using a permanent ink marker, clearly write "Perishable – Food" and mark the top, "This side up" to encourage careful handling. If you're on the receiving end of some holiday treats, you'll want to make sure you keep your cookies fresh. And just like people, different cookies have different needs. Believe it or not, there are different methods to ensure each style of cookie tastes fresh out of the oven, even days later! If you store various types of cookies in one container, such as Cherry Drops and Chocolate Chip Bars, you risk the all flavors blending together. To assure your cookies stay fresh and delicious for as long as possible, take note of these storage suggestions. You'll want to store soft cookies in an airtight container. One way to make sure these cookies remain soft is by placing a piece of bread or an apple slice in the container. This will keep them from drying out! Crunchy cookies freeze exceptionally well. If you simply can't wait to eat them (we understand! ), store crispy cookies in any container, preferably one with a loose-fitting lid, such as a cookie jar. 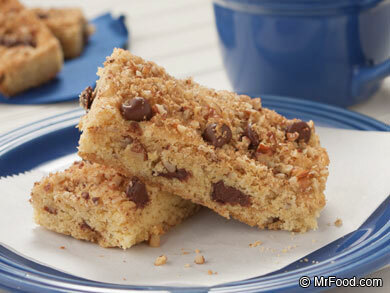 Bar cookies don't need special treatment. Feel free to keep these in the pan they were baked in, and keep them covered with foil. If you get these as a gift, you can also put them in a resealable plastic bag, or in plain foil. 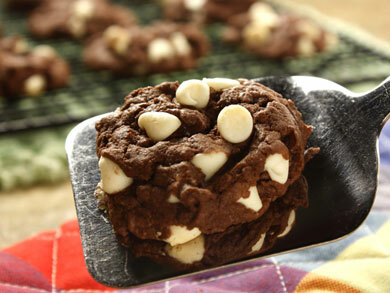 To avoid soggy cookies, we recommend making sure all cookies are completely cooled before storing them! 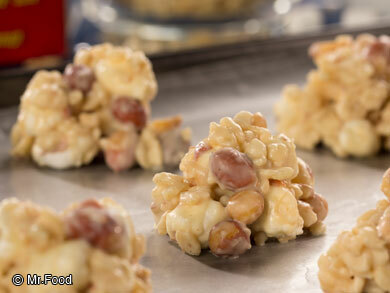 We've got tons of mouthwatering cookie recipes to choose from, so whether you love snickerdoodle cookies, you've got an affinity for Double Peanut Butter Cookies, or you prefer your desserts stuffed with goodies, like in our M&M Drop Cookies, we've got ways to make sure the holiday cookie recipes everyone loves arrive whole and last long enough for the whole gang to enjoy them. Break out your oven mitts, and get baking!